Ideal for adding a touch of colour to your home during winter, the spidery blooms of this beautiful cultivar will grow up to 10cm across. The narrow, salmon pink petals create a starburst of colour from the central core of white stamens. General care: Fill a pot with good quality potting compost, setting the bulb in the compost so that the top two thirds are exposed. Water the compost only when the surface is dry, watering too much just after potting can cause the bulb to rot. 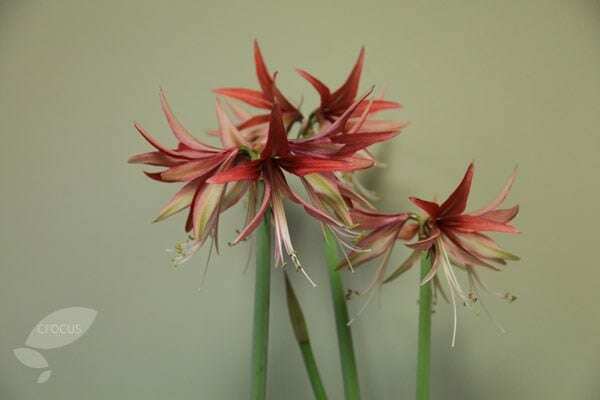 Keep the plant in a sunny spot, though not direct sun and rotate the plant so as to avoid the flower stalk leaning towards the light. 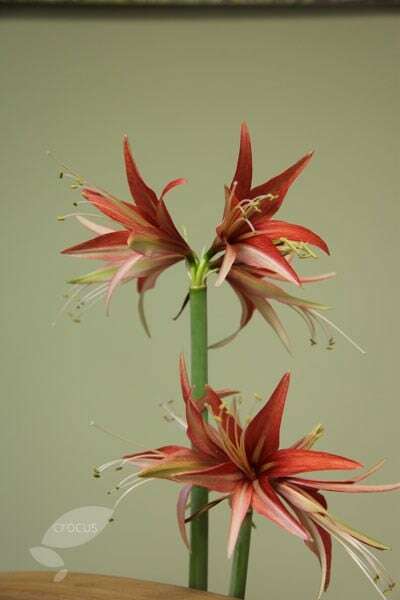 Once flowering has finished cut off the flower stalk 5-10cm above the bulb - don't cut off the foliage. Water when the surface of the compost is dry and feed regularly with a balanced liquid fertiliser. Usually the best thing to do is keep watering it through the summer and in autumn stop watering and move to a dark, dim spot. This stimulates the drought season of the plant’s native South America. Allow it to dry out for a few months so that the foliage wilts and dies back. In November bring it back in to the light and start watering again. Old foliage should be removed though take care not to cut any new shoots off. In a few weeks a new flower shoot will appear and flower just in time for Christmas.